Sunil Robert has a mission to transform the world through his communication skills. In today’s episode, he discusses his journey of overcoming poverty and setting his own career path, dealing with adversity and developing resilience skills, transforming from a couch potato to marathoner, and helping others get beyond being a prisoner of their own assumptions. 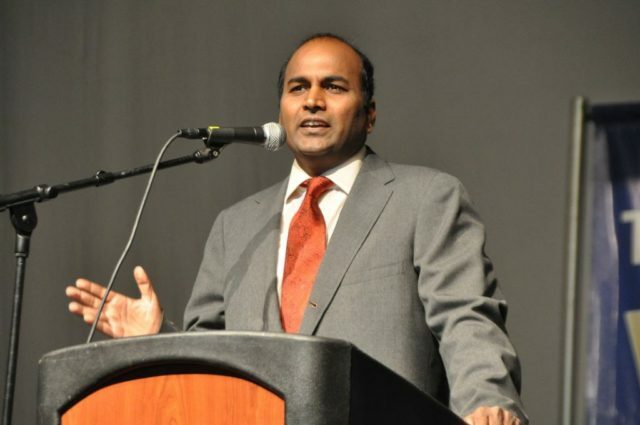 Sunil Robert is an accomplished global executive with a career spanning 27 years across India, Europe and North America having worked in reputed companies like Eureka Forbes, Acer, iflex/Oracle and TCS. He started his career in the late ‘80s in Engineering Sales, and moved to Advertising and finally settled in Corporate Communications and has won global accolades for his ability to build brands. He is the only Indian to have ever won a “Stevie” award (touted as Oscars in Business world) for Communications in 2007. He was also listed in the Outstanding 50 Asian Americans in Business in 2009. He was also the PR Professional of the year in 2009. His mission is to ‘change the world through his communications skills’. In addition to being a writer, he is also a motivational speaker and leadership coach. He has delivered training programs to nearly 10,000 engineers and executives working in Fortune 50 corporations like Target, Apple, Walgreens, Home Depot, AIG, Bank of America and other leading firms. An avid marathon runner, he ran six prestigious marathons (including Boston, Chicago and NYC) in the world and offers his own experience in transforming his audience. He is a contributor to many publications and his notable writing was to Encyclopedia Britannica, India series. His debut work – a rags to riches memoir ‘I Will Survive’ launched in 2010 was a bestseller endorsed by global leaders like Ratan Tata, Ramdorai and Joseph Kennedy II. His second book ‘Bound To Rise’ has just been launched in India and has recommendations from leaders like Anand Mahindra, N Chandrasekaran and Dr. Bala Balachandran. He was recently selected by iCONGO for the Rex Karmaveer Global Fellowship award for his effort to inspire India’s youth and is listed among the Outstanding 50 Asian Americans in Business.